Thumb drives aren't exciting, but they are essential, and today you can grab a 16GB drive for less than $5. While it’s easy to put files in the cloud these days, sometimes you just need a flash drive for easy access to your stuff. 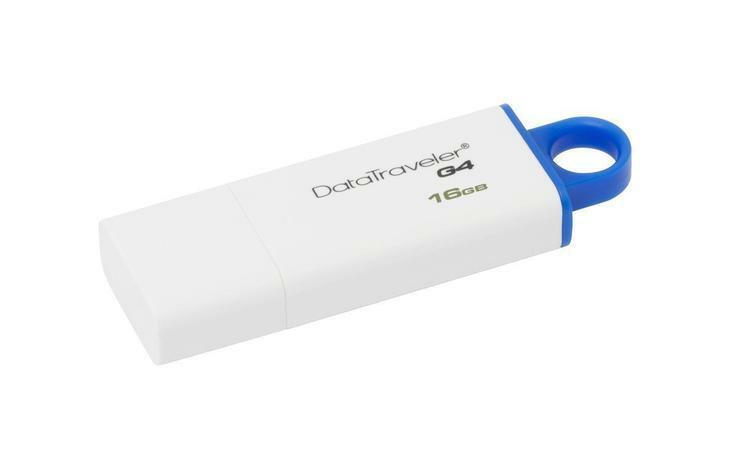 Amazon is making those essential thumb drives incredibly affordable today with a 16GB Kingston DataTraveler G4 USB drive for $4. This is the drive's cheapest price yet at Amazon, but it’s only a $2 discount from its most recent price. Still, if you pick up three or four of these, the savings get larger. That’s why we’d recommend grabbing a few of these drives, and preferably combine them with other purchase items so you can hit that $25 free shipping benchmark. That is, unless you’re an Amazon Prime subscriber, in which case you can get free two-day shipping on all orders regardless. As for the drive itself, it packs aforementioned 16GB capacity and uses USB 3.0 for faster file transfers. It also includes a cap to cover the USB plug, and you'll find a loop for putting it on a key ring on the back. The USB drive comes in blue, red, yellow, purple, and green, though it appears you don’t get to pick which color Amazon sends you. Who cares for just $4 though? The thumb drives also come with a five-year warranty.